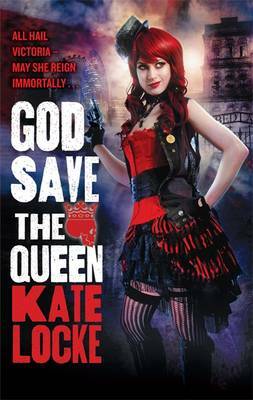 Kate Locke’s ‘God Save the Queen’ is modern Steam Punk set in a London with a number of historical differences to our own. Published in the last couple of weeks and featuring a kick-arse heroine this is an enjoyable start to an original series. Kate has a rather nice website for the series, which already promises another book for next year. There can even be found a soundtrack – awesome! There isn’t a trailer for this one so I shall treat you instead to a video from the novel’s soundtrack..enjoy.